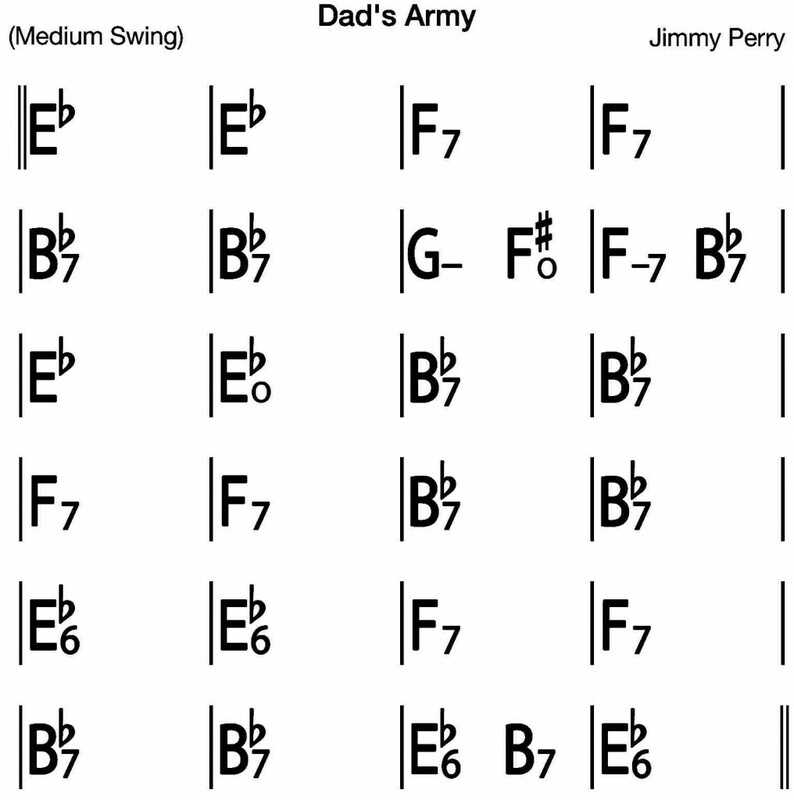 Some jazzy chords to the tune of Dad’s Army. What a great tune to jam on! Watch the video to hear how it sounds, then the chord chart and diagrams lead you through the changes. 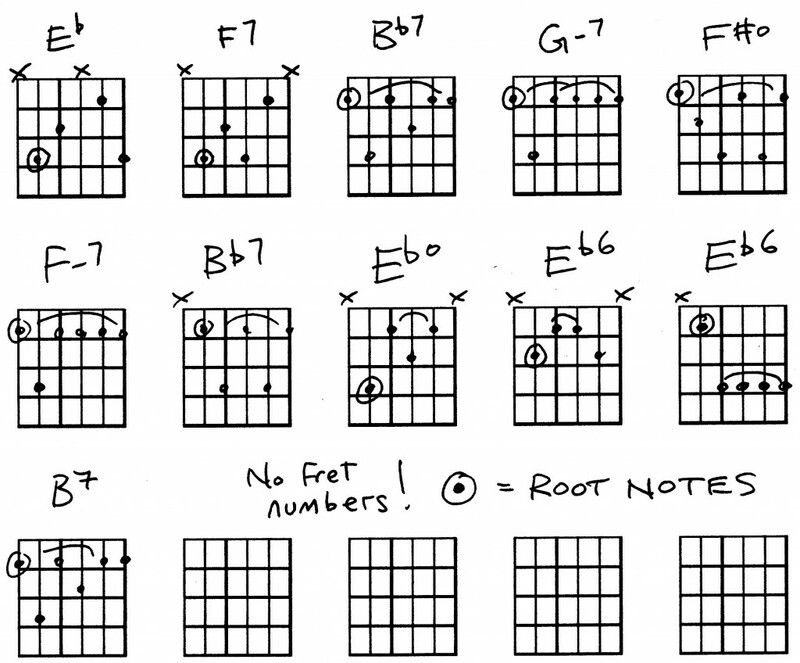 Be aware that on the chord diagrams there are no fret numbers. This does not mean everything is at the first fret! The root notes are circled. This way, you should be able to use these shapes in any position to get different chords.